Translation and introduction first published at Legal Form. 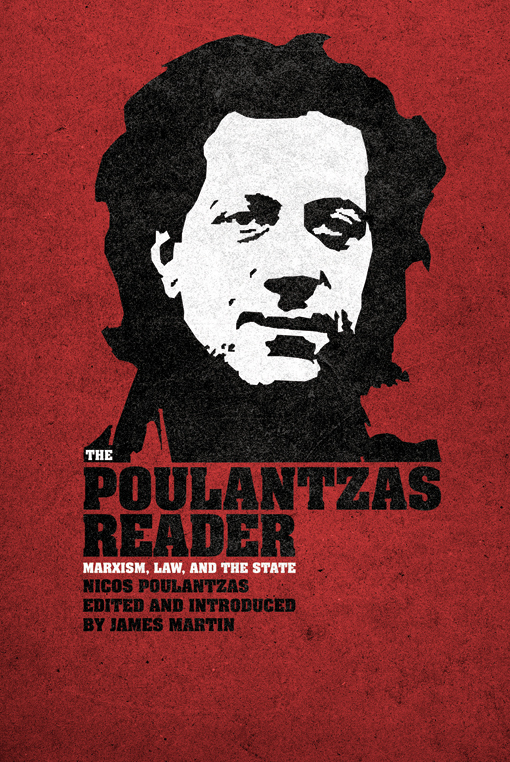 Perhaps most interesting is Poulantzas’ qualified support for what were, in the eyes of many Marxist thinkers, irredeemably liberal institutional forms: a multi-party representative system; a vibrant civil society; and limitations on state encroachment into the “private” realm. Yet despite his skepticism about the applicability of Lenin’s and Gramsci’s analyses, this is not merely an idealized validation of the liberal constitutional state. 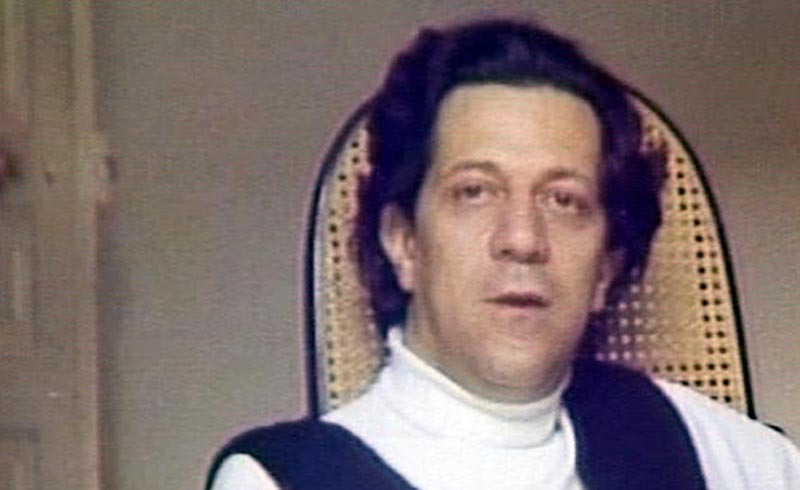 Implicit in Poulantzas’ account is the possibility of a pluralistic democratic socialism, and a suggestion that the autonomy of representative democratic institutions and new social movements needed to be upheld in the face of party-based hegemonic projects. Only thus could both have a corrective effect on the party — the former by providing mechanisms for mediating the inevitable antagonisms within a multi-party system, the latter by giving expression to the newly emerging subjectivities and collective projects that resisted integration into a centralist organizational model. 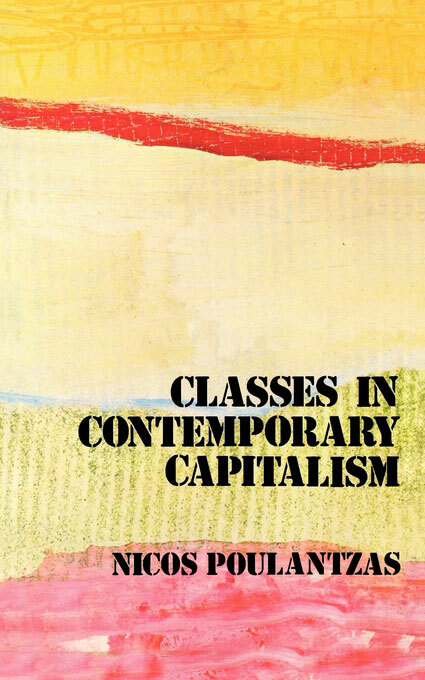 Marco Diani: In the debate about the “crisis of Marxism," or better of Marxisms, the subject of the “responsibility of theory” has been recovered and developed. For your part, you have often recalled that one cannot attribute responsibilities to theory that it does not have. Can it be deduced from this that you feel a propensity to separate theoretical assumptions from practice and from political achievements? NP: Let us specify. At first I wanted to intervene in the center of a polemic, the hysterical anti-Marxism of the nouveaux philosophes, in which Marxism was directly and simply identified with the gulag. In my opinion, it is increasingly urgent to abandon the conception, imprinted by Lenin onto Marxism and still very resistant, premised on the adaptation between theory and practice, and on the basis of which the “lags” and “discards” attributed to the vicissitudes of history are recognized and classified. What if, instead, we abandon a certain vision of scientificity, accepting the idea of a structural tension between the theory, whatever it is, and the practice? In this sense, Marxism is not responsible for the gulag any more than Sorel for fascism and Nietzsche for Nazism. There is a risk, however, of “absolving” Marxism of the difficulties found in the realization of socialism. I think that to avoid this, the separation between Marx and Lenin should be accentuated. Not only in abandoning, as has happened, the Stalinist canonization of “Marxism Leninism," but recognizing that in Leninism, even in its theoretical “purity," exist factors and elements that could favor the affirmation of Stalinism. But this separation between Marx and Lenin — do you not think this “return to origins” has already been tried? And apart from that, what use can it have in the face of the completely new problems posed today? In Marx there exist elements that are completely contradictory with respect to Lenin’s theories. Despite the criticisms of the formal character of liberties, there was always a preoccupation with the institutions of representative democracy that is difficult to find in Lenin. But we should not eternalize this age-old debate because, among other things, when facing both the new problems linked to the criticism of the socialist countries and, above all, the problems of Eurocommunism and the difficulties of access to government by the left in Europe, the answers are not finalized in either Marx, nor in Lenin, nor even in Gramsci. In contrast to Althusser, I have been deeply influenced by Gramsci’s thought. However, as time passes, I am more convinced that Gramsci does not represent a completely new era of theoretical reflection, as was believed for a long time. Gramsci has certainly determined for the first time a set of problems that we still have before us: the expansion of the state, the greater awareness of civil society, the presence of the popular masses in the constitution of the state. But he always reasons within a fundamentally Leninist framework; his problem is essentially the application of Leninist strategy to the West. The state always remains more or less a monolithic bloc to be conquered, no longer with a war of movement, it is true, but nevertheless always something to capture. The problematic of encirclement and the war of position remains founded on the theory of dual power. 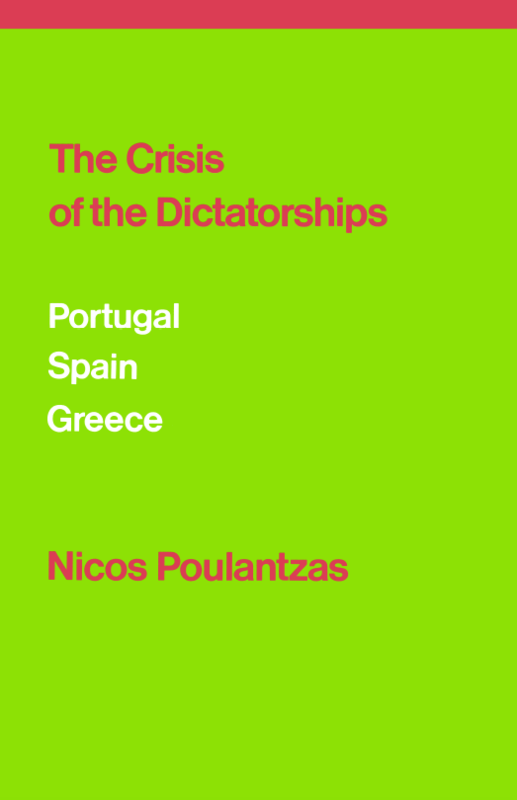 Now, having exhausted the premises, let’s move on to the new problems that the left faces in Europe, in particular the effects of the political and institutional crisis on the “Eurocommunist parties." Many speak of the inadequacy, the crisis, of the “party form." Currently there is a crisis of the political parties, but I would not speak of the crisis of the “party form." This would mean there is a crisis of the “state form," which I believe is a mistake. The crisis of the parties is dual. In the first place it manifests itself in the party system in general, and because of this also in the parties of the left, and it is mainly due to the profound transformations of the state that are underway. 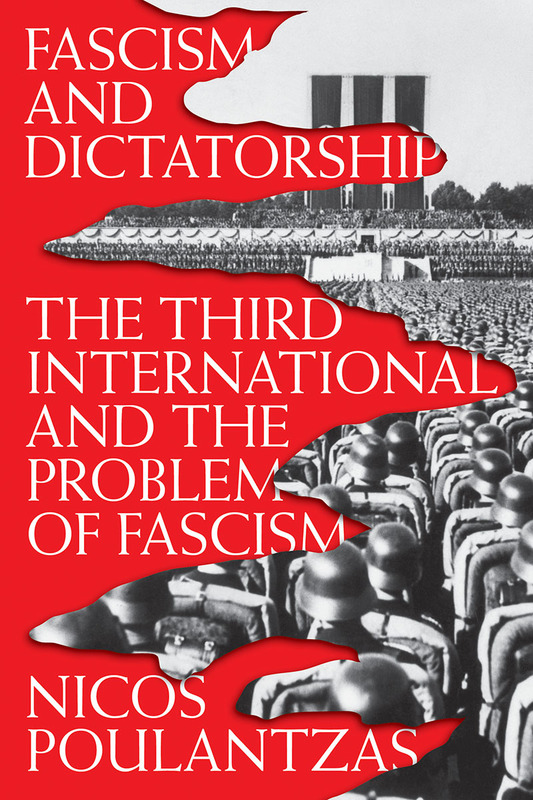 There is a displacement of functions previously entrusted to political parties toward the state administration, and it is in this sense that I speak of “authoritarian statism." The role of the parties as representatives of social classes vis-à-vis the state administration, of which they become the privileged interlocutors, is now in decline. From here, the forms of institutional corporatization are derived, as well as the crisis of the party system, as they are losing a set of basic ideological functions for the creation of consent and their own legitimation. There is, however, a problem of identity and political strategy specific to mass workers’ parties, both social democratic and Eurocommunist. There is talk of “workers'” parties (although they were never that in the strict sense) because, even when they had reached mass dimensions, the first organizational reference was still the factory and the workplace. However, despite the fact that new forms of struggle are developing within the workplace due to the specificity of the current economic crisis, the new fact is that the profound crisis of the welfare state is at the origin of numerous social movements “external” to the physical places of production, and partially foreign — culturally, politically, and socially — to the traditional content demands of previous years. If this hypothesis is valid, the crisis of the mass workers’ parties does not refer so much and only to the “form," to an organizational reflection of who is installed in the search for a paradise lost — the totalizing party, the supreme moment of the political synthesis. It is a much deeper sociological crisis, which requires revisions that go far beyond political engineering. The Eurocommunist parties are not only in trouble for having abandoned the Stalinist model without finding a valid substitute, but the difficulties arise whenever they come into contact with movements that, with increasing speed, are losing the connotation of being “marginal." If the difficulties of the Eurocommunist parties are not resolvable through renewal or with the simple invention of new “forms," then what are the political guidelines to keep in mind to first understand, and try to overcome, such situations? It seems paradoxical, but I believe that one of the reasons for these difficulties is a vague excess of politics, a sort of hyper-politicism. 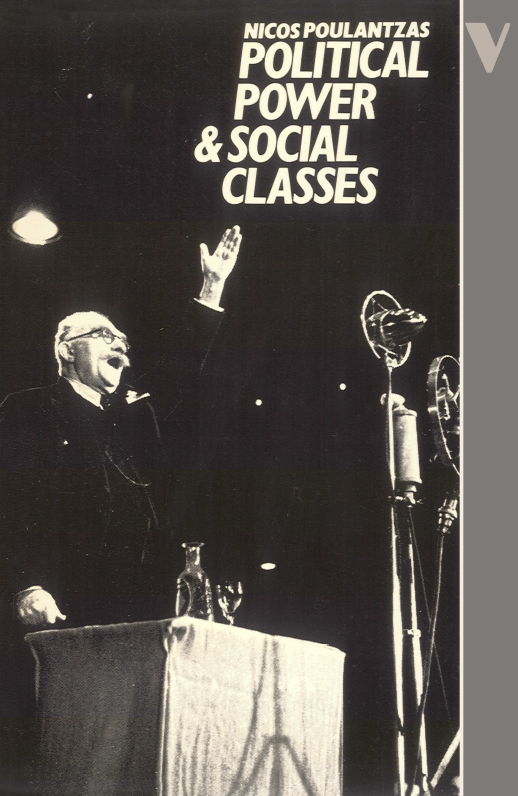 I think that it is a problem strictly linked to the ways of the mass workers’ parties, of which I spoke before. There is a great difficulty in fully accepting the idea of a structural tension that should be created and permanently exist between parties and social movements. Why do I speak of an excess of politics? Because even when a broad autonomy for social movements is recognized, the eventual presence of the party is always fixed around a conception of the party as the place of a totality and synthesis. Even Ingrao, who is quite lucid in visualizing the problems we are discussing, uses the term “constellation” with regard to social movements. Around whom? What is its center? I ask myself more and more often if it is fair to say there is a political defect in our society. Are we sure we will not fall into “pan-politicism," one of the biggest ideological illusions inherited from the history of these recent years? At its heart, perhaps, the problem consists in recognizing that not everything is political, that there are limits to the politics of “politicization." It is necessary to adapt to thinking that spaces of freedom may exist for new collective projects, for the expression of new subjectivities that escape politics — or better, certain limits of politics. With the theoretical and political heritage that lies behind it, this does not seem like a small task. It’s almost a Copernican revolution. Indeed, this seems to me an appropriate term. Precisely because an old party model has been abandoned, although it has been necessary in other times, you must abandon a series of functions that do not make much sense. I am not only thinking of what seems to me a certain “hyperpoliticism” of Gramsci on the subject of morals, aesthetics, and everything that is today confusingly defined as “private” and often recovered without any critical spirit. I refer to that irreducible tension that will always exist between social movements and parties, and which is in my opinion, the effect of a socialization, of a diffusion of politics, a sign of immense civil growth. That, I repeat, can offer the Eurocommunist parties an opportunity to find a new form of presence in society and new relations with the movements that traverse it which are not subordinated to the total instance. 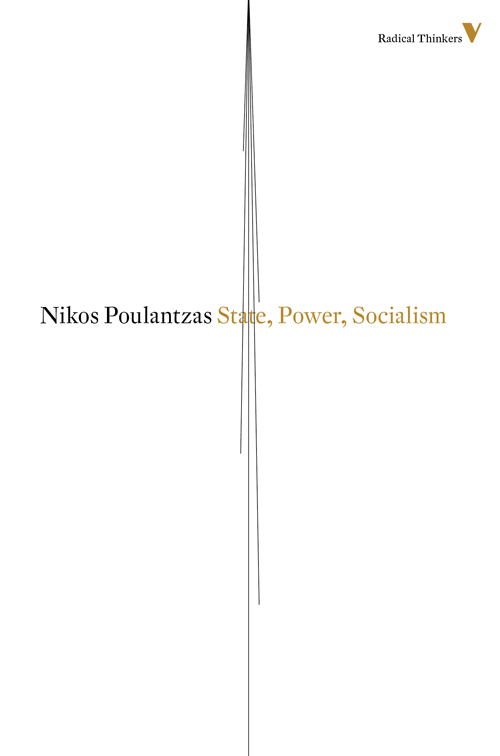 Schematically, and to conclude on this point, I think we should accept the idea that there will never be “enough” politics in a society; yet this absence should not be a limitation, but a positive fact, especially when it is possible to limit the intervention of the state. There are no natural limits for politics, but the state tends to occupy the space of individuality in the present phase. But do you not think that the abandonment of the figure of the party as an “instance of totality” implies other theoretical corollaries, in particular about the meaning to be given to the concept of the “hegemony” of the working class? It is a fundamental concept that must be substantially rethought. Indeed, it seems to me that the categories of Marxism tend to consider the problem of the relationship between the working class and political democracy as “naturally” settled. I wonder, is there not a relation between Lenin’s underlying underestimation of the importance of formal democracy and a theory that takes for granted the “spontaneously” democratic role of the working class? It is true that if one wants to look for the “lags” in Marxist political theory, this topic seems central to me. It is about understanding, as experience teaches, that no class by itself, by its very nature, is destined to be a guarantor of freedom without the intervention of a conscious project to that end. It is necessary to know how to look, without illusions and hesitation, into the stratifications, the divisions, the internal complexities that characterize the working class. It needs democracy and democratic institutions not only to defend itself against its enemies, but also to “defend itself” at the moment it assumes political power. Understanding this is important in order not to underestimate, as some Marxists did, the immense work of invention necessary for the elaboration of a democratic political theory of the transition to socialism.